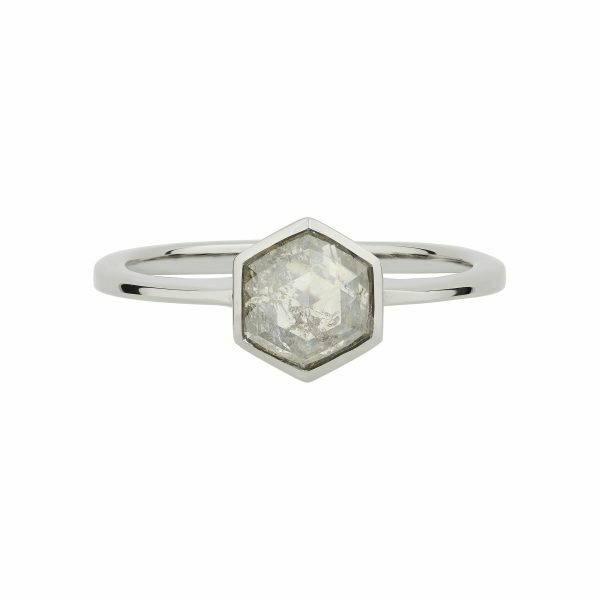 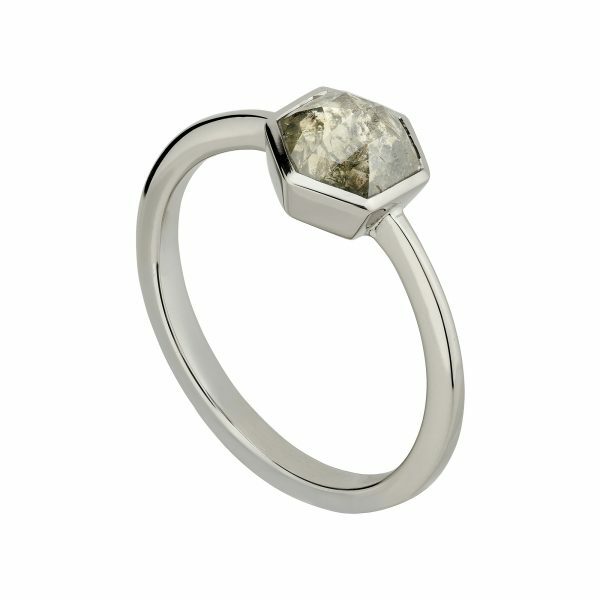 Stunning salt and pepper hexagon diamond engagement ring in 18 carat white gold. 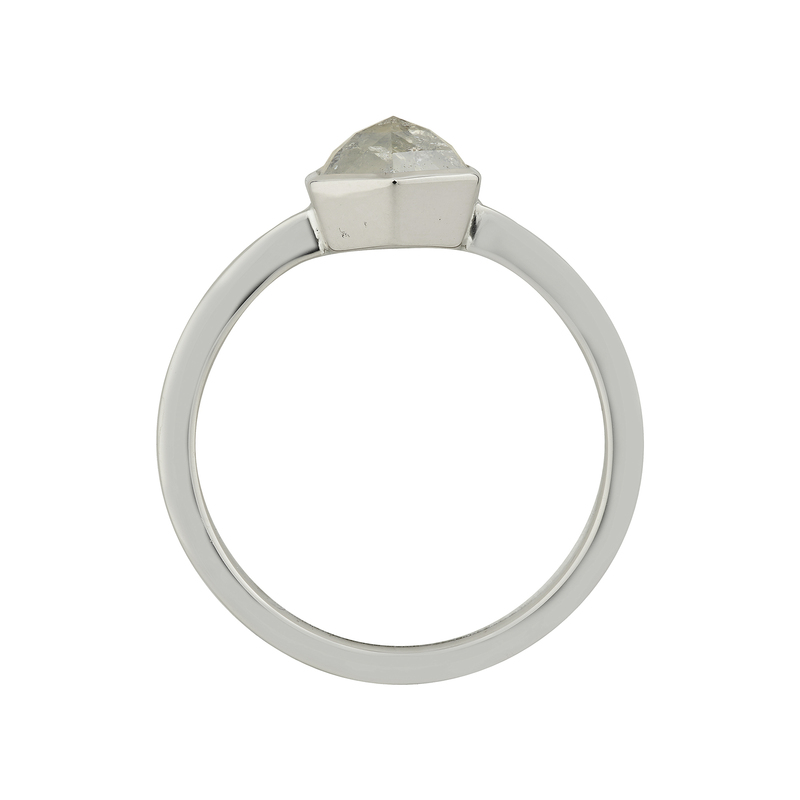 The tapered band leads your eye up to the central stone where the hexagon shaped rose cut diamond is rub-over set and weighs 1.05cts. This beautiful ring is currently a size L.5 and can be resized free of charge within a few sizes and shipped in 1-2 weeks.